Split Schismopathic /Antigama will be out soon at Selfmadegod Records! Continue reading Split Schismopathic /Antigama will be out soon at Selfmadegod Records! New album from The Atrocity Exhibit! Pre-orders start now at Wooaaargh rec Continue reading New album from The Atrocity Exhibit! "This Was Supposed To Be Fun" is officially out! 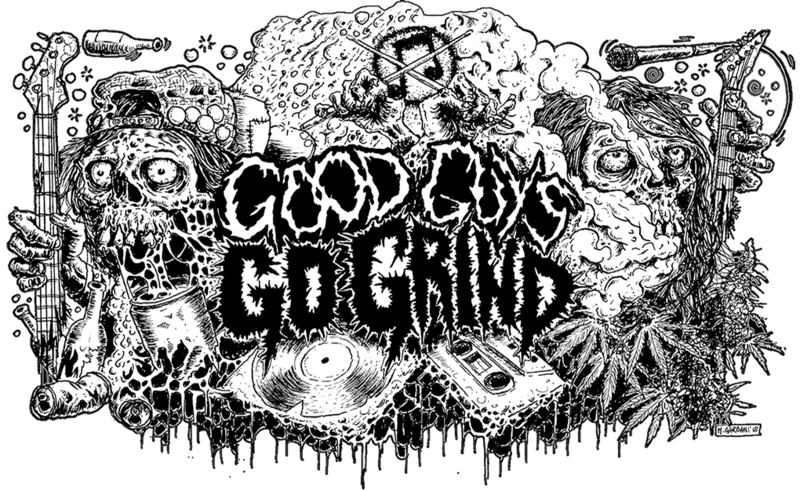 New album from French grinders Warfuck is out! CD and vinyl are available at lixiviatrecords.com Continue reading "This Was Supposed To Be Fun" is officially out! Kickass split from Chepang​ and ​Test!!! You can finally heard the noise HERE! Continue reading Kickass split from Chepang​ and ​Test!!! Antigama is going to destroy UK! Continue reading Antigama is going to destroy UK! Jesus Ain’t In Poland is back! Over one hour of grindcore, doom and experimental music in double disc with 32 pages booklet. “No Man’s Land” was recorded August 2016 at Highwave Studio, Gdynia, Poland by Jan Galbas and Matteo Bassoli, mixed and mastered summer 2017 at Studio 73, Ravenna, Italy by Riccardo Pasini.The album line-up consists of G.I.Joker (guitar), Atarus Aksam (drums), Horcrux Urethra (vocals) and Matteo Bassoli, who recorded bass and keyboards as session guest. Graphics by Dartworks. Label: Grindpromotion RecordsRelease date: March 30th Continue reading Jesus Ain’t In Poland is back! Out now at www.selfmadegod.com Continue reading Antigama – Depressant bungle! You can order these shirts at official site of Krupskaya or you can find them on merch tables during their tour! Continue reading New shits from Krupskaya! Krupskaya is going to Euro tour! Continue reading Krupskaya is going to Euro tour! Continue reading Krupskaya on tour! You can buy this merch at Warlord Clothing! Continue reading GASP shirts! The “Dadhelo: A Tale Of Wildfire” is now available! “The first full length assault from Nepal’s “immigrindcore” battalion. Driven by breakneck dual drum blasting and the blazing fervor of their message delivered from the turmoil of their homeland. A twisted cacophony of riff carnage and the desperate howling frenzy of multiple singers. Impassioned Ghurka grindcore commandos igniting a cleansing fire.” You can buy this album thru Nerve Altar (USA) or Holy Goat Records (Europe) Continue reading News from Chepang`s camp!